Nobody knows your parent or senior loved one like you do. 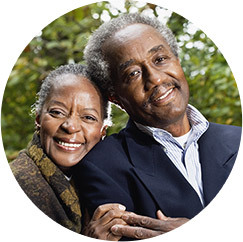 We pay attention to what you have to say when you come to us for senior care assistance. We all have the same goal: giving your loved one an independent, high-quality life for as long as possible. We’ll speak with your loved one and make sure he or she is comfortable with us and the new role we’ll be playing in his or her life. We’ll also give you all the information and involvement you need in order to feel at ease. You can rest assured that we’ll provide senior care for your loved one in the same manner that you would care for them. FirstLight Home Care Charlotte can assist you with non-medical, in-home tasks such as a cooking, housekeeping and laundry. We also service individual senior care needs like showering, personal hygiene, toileting needs and continence, help with mobility and help with eating. We operate 24/7, 365 days a year, and we offer both short-term and long-term in-home assistance. Your age doesn’t matter; our homecare services are available to anyone in need in Matthews, Charlotte, or Pineville, no matter where you are or when you need us. We can help seniors that need help in order to remain at home, the elderly who suffer from chronic illnesses, family members with special needs or disabilities, people who have recently undergone surgery or are recovering from an illness, new mothers, and the families of deployed military members. Even if you’re someone who just needs to speak with someone during the day in order to feel better, we’re here to listen. 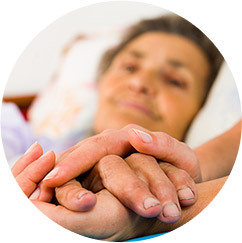 What Are the Advantages of Matthews Homecare Versus Senior Care in a Facility? It’s simple: freedom. Homecare in Charlotte, Pineville, Matthews and the surround community helps seniors remain physically active for a longer period of time. 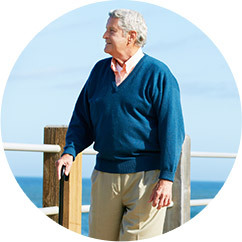 Seniors can keep to their preferred schedules and operate at a comfortable level of mobility. Homecare is also more emotionally satisfying for seniors. Elderly people who are admitted to nursing homes can become depressed, and depression can affect their well-being and health. 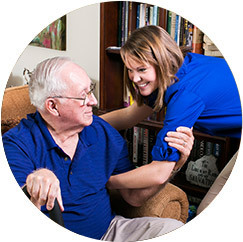 It’s not uncommon for families to request a FirstLight caregiver to visit their loved one in a nursing home, assisted living facility or retirement community. Families make these requests in order to give their loved one additional companion care and help with things that the institution may not be equipped to do. This can include tasks such as going on errands, visiting the doctor or going to your loved one’s favorite place to eat. 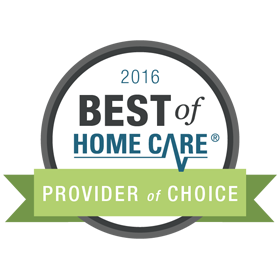 FirstLight Home Care provides homecare and senior care services to the entire Greater Charlotte area, including Pineville and Charlotte, NC. How Do I Get Started With Charlotte Homecare?